Just Keep Sweating: RiseBar Giveaway!! 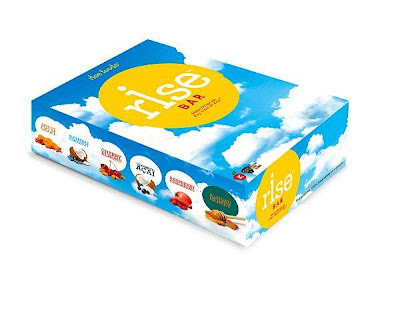 Wayyy back in March I posted a review on RiseBars which have quickly become my new favorite healthy snack Their products are made from 100% raw ingredients and are gluten free! I know that these may be new to most of you or they may be difficult to find, so my friends at RiseBar have been kind enough to give ONE of my lucky readers their very own box!! This giveaway will end Wednesday May 9th, at 10 pm EST. I will announce the lucky winner Thursday May 10th. 3. Leave ONE comment below saying which one you would like to win! or leave a comment on my fanpage saying you entered! Tweet example:"Hey Everyone! 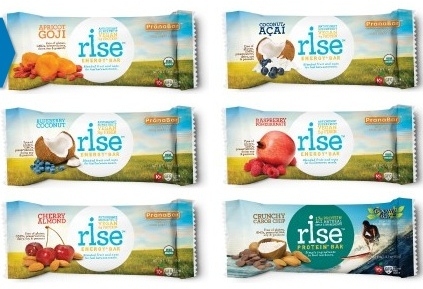 I just entered the @risebar giveaway hosted by @juskeepsweating"
The Almond Honey Protein One looks yummy! Following you and tweeted your giveaway - thanks so much! I'm a sucker for anything coconut! I think i'd have to choose the Coconut Acai bars! I cant decide between Crunchy perfect Pumpkin or Cherry Almond!!! If I dont win I think im gonna buy a pack anyways! Thanks for doing this! Definitely the carob chip! sounds delicious! Mmm the crunchy perfect pumpkin sounds right up my alley! Almond Honey looks yummy yummy pleaseeeeee! Blueberry Coconut! I have been loving that combo lately! I am a fan of them on Facebook and follow them on Twitter! Tweeted, too! Gluten free! I'm in, I would love to try these. My favorite is Blueberry Coconut (with Coconut Acai in 2nd place!). I LOVE Rise Bars!!! Thank you. I'm a fan on FB & follow in Twitter (both you & Rise Bars). I want the crunchy cashew almond!! Sounds delicious!! I'd love to try the Crunchy Carob Chip protein bars! I like Rise bar on facebook and follow them on twitter. blueberry coconut or honey almond both sound great! Almond Honey Protein Bar looks scrumptious! 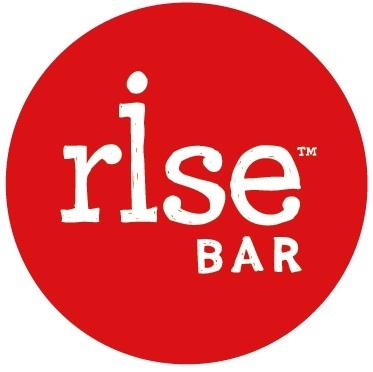 Following RiseBar on Twitter too - thanks! I would like to try the Cherry Almond. I Like Rise Bar on Facebook. Commenting now (Honey Walnut, of course), Liked, Followed and Tweeted — that completes the cycle! Good Luck me! This is such a great giveaway! I followed them on Twitter but cant like them because I dont have a Facebook! Hopefully that doesnt count against me. If I won I would chose the Crunch Honey Walnut Breakfast Bar. I am always on the run in the morning and they look so healthy and delicious!! & I just tweeted! Good luck to everyone! The Crunchy Cashew Almond Breakfast Bar looks delicious! I am always rushing out of the house in the morning to get my 9 year old to school - so this would be perfect to grab and go - and knowing that I am getting the right nutrition I need to start my day off right is an added bonus! The almond honey protein bar strikes my curiosity. I follow Rise Bar on Twitter. The protein almond honey would be a great one to try for more protein in my diet. The prefect pumpkin bar sounds amazing! Crunchy Cranberry Apple - OH YEAH! the apricot goji looks awesome! I would love to try Crunchy Carob Chip! Followed them on Twitter...and you!